The State of Washington in the far northwest part of our country is a beauty. From ocean breezes to mountains & meadows, it has that & more! 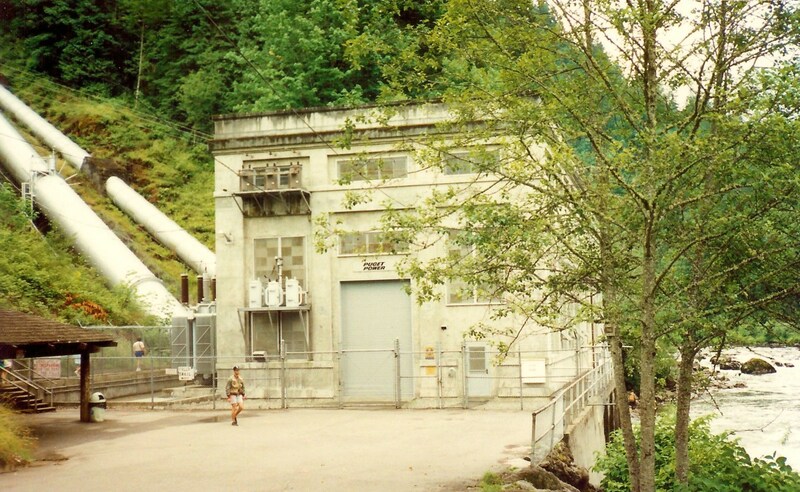 A short drive from Seattle, Washington takes one into the lush and verdant countryside where Snoqualmie Falls thunders over a high cliff splashing into a pool of water and then proceeding onto the rocky riverbed providing not only stunning beauty but the power to furnish thousands of homes with electricity. 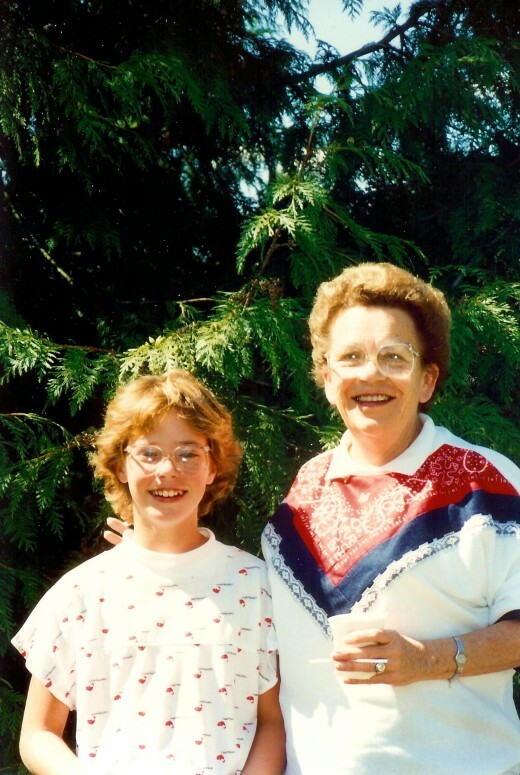 My mother, niece and I had already spent some time exploring Seattle's Pike Place Market and other notable sites within the city and had taken a day trip into the country to see the charming Bavarian village of Leavenworth. Now we were on our way to tour the San Juan Islands and then Vancouver, Canada. Since Snoqualmie Falls was heavily advertised as a wondrous site of natural beauty, we thought that we would stop to see if the Falls lived up to its hype. In the town of Snoqualmie we happened to spot a building that sparked our interest and decided to check it out. 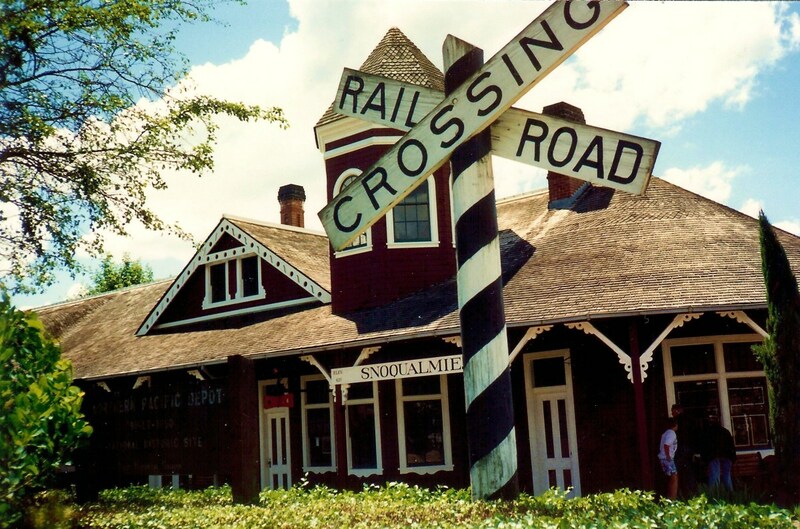 Originally built in 1890 this charming railroad depot of the Seattle, Lake Shore and Eastern Railway still graces the small town of Snoqualmie today. Restoration has kept much of it intact with some modern mandated updates and it is on the National Register of Historic Places. The Depot is situated in a small park-like setting within the town of Snoqualmie. One can check out the displays relating to history of railroads and it is open most days of the year to the public free of charge. 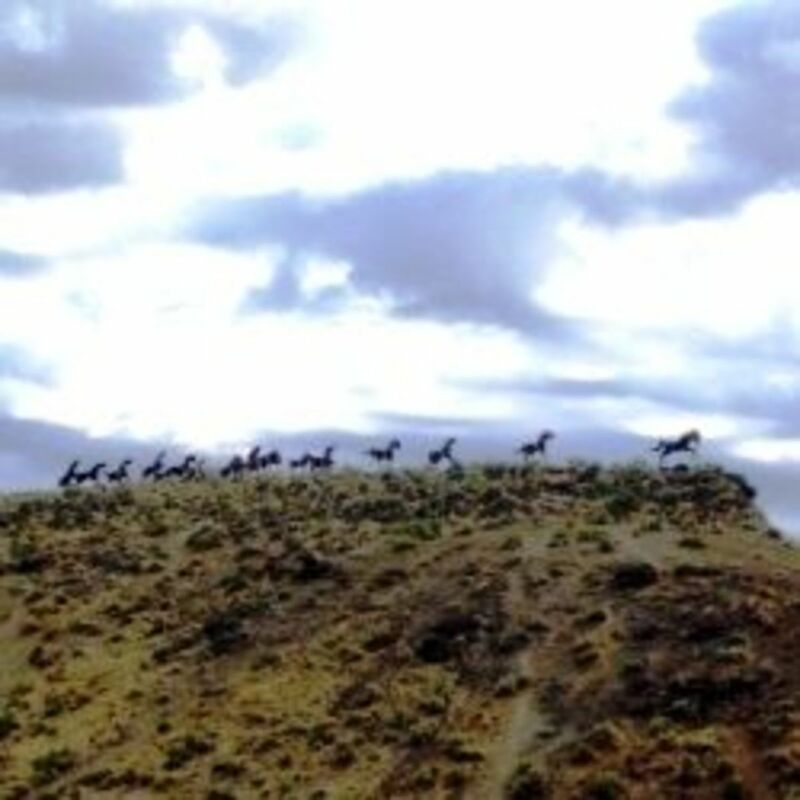 Native Indians knew of this site long before being discovered by the settlers moving west. 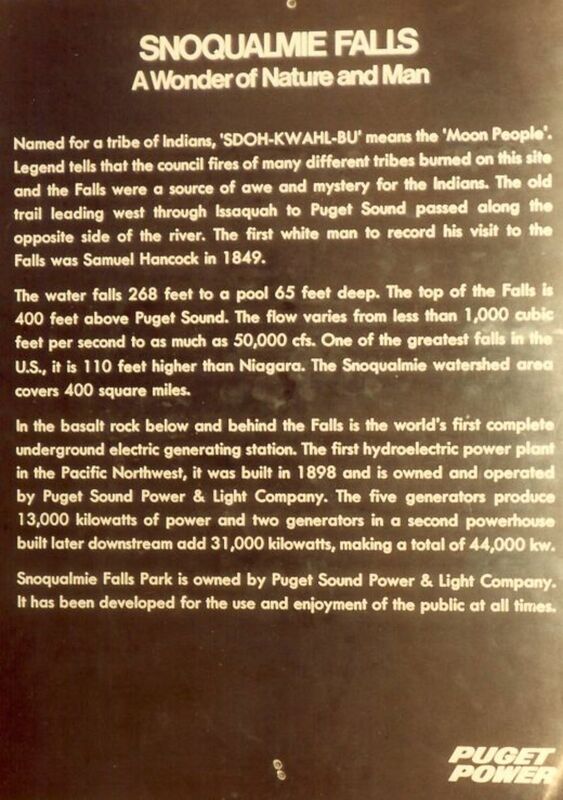 In fact, there are Indian stories which survive to this day regarding the Snoqualmie Falls and what it means to the native tribes who first called this place home. 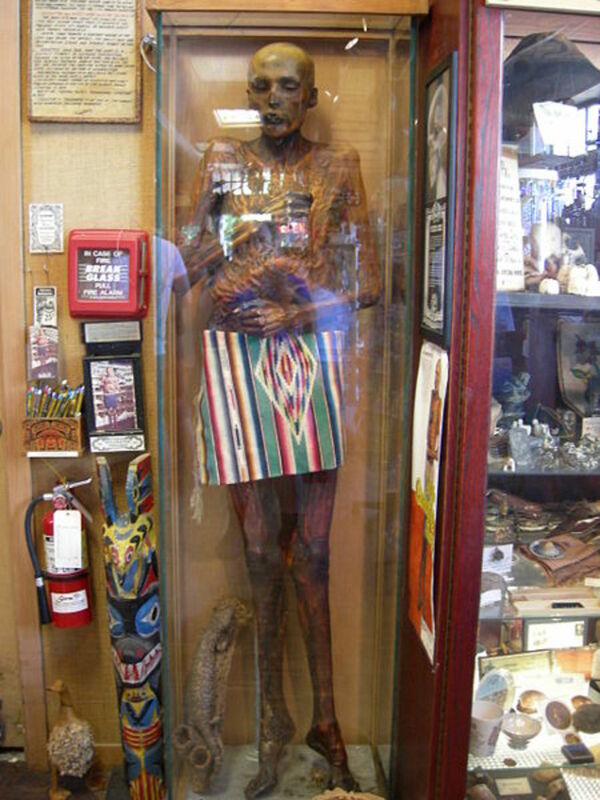 The white settler who first recorded visiting the Falls in 1849 was a man by the name of Samuel Hancock. A couple of U.S. army personnel first measured the Falls in 1853. 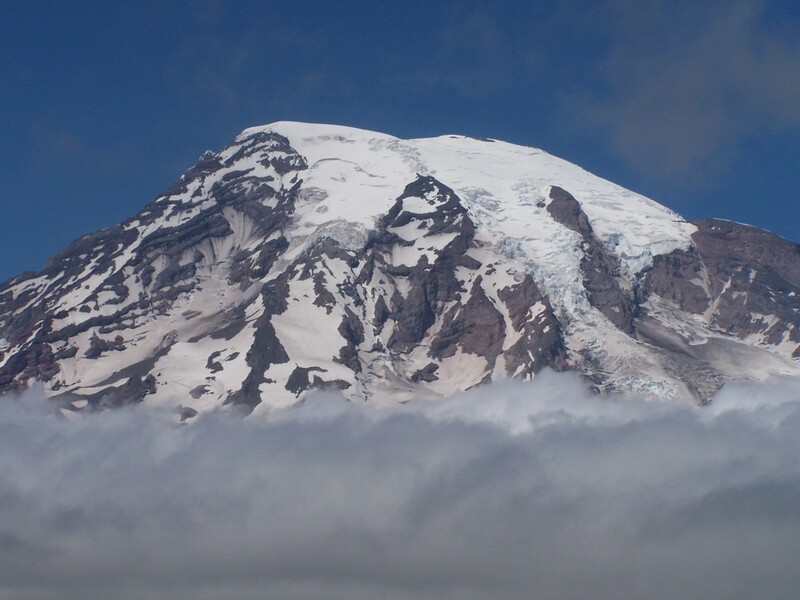 When passenger trains started transporting people from Seattle to this glorious site starting in 1889, legends of its beauty drew more and more people and it became a growing tourist attraction. Well over a million people annually now visit the Snoqualmie Falls. Height of this spectacular waterfall in western Washington is about 110 feet taller than the well known Niagra Falls which borders New York State and Canada. It was a bright and sunny day when it was our turn to become one of those many annual visitors to Snoqualmie Falls and yet it did not seem overly crowded. From the parking lot it is an easy walk and handicap accessible to be able to view the cataract of water rushing over its precipice and falling the 268 feet to the pool below. According to literature that I picked up, in the late 1800s dare devil tightrope walkers traversed the river over the Falls entertaining an audience below. Crazy! Of course that is solely my opinion. Obviously dangerous, that kind of risky behavior has not been allowed for a long time. My niece and I decided to take the trail to get down to Snoqualmie River and be able to view the Falls looking back up at it from that perspective. My mother decided to stay up at the top and await our return. 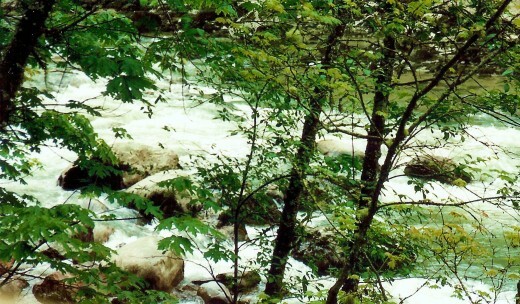 It is about one-half mile down to the river but it is a steep hike one which changes elevation by around 300 feet. The trail brought us in close proximity to the moss covered trees and other vegetation that clung to the walls of the cliff as we worked our way down to the roaring Falls and river. It was beautiful to view. Our reward for the hike can be seen via the following photos. Upon reaching the bottom we got to see an old but still operating hydroelectric power plant that was built in 1898. I'll let the photos that I took speak for themselves. After my niece and I climbed back up the steep trail and rejoined my patient mother we decided to take a look at the historic Salish Lodge that is situated on a bluff overlooking the Snoqualmie Falls. First built in 1916 it has been rebuilt utilizing the original stone fireplace. It has become a luxury lodging only 30 miles east of Seattle and also offers spa services and fine dining. It was lunch time so we decided to dine there. I ordered their "catch of the day" which consisted of a delicious seafood fettuccine. My mother and niece were also well satisfied with their selections. A son and daughter-in-law of good friends of ours had their wedding reception at the beautiful Salish Lodge some years later after our visit. It would be a great northwest wedding and even honeymoon location! 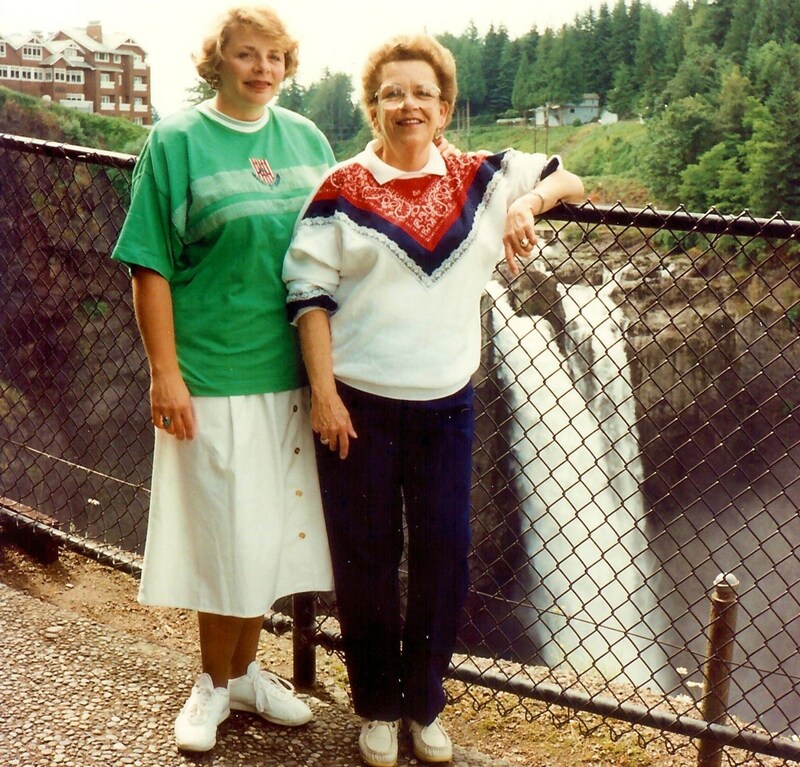 Stopping and exploring Snoqualmie Falls and the lovely Salish Lodge in Washington State just east of Seattle made for a nice interlude on our 15 day vacation many years ago. The power and beauty of those tall cascading Falls will be permanently marked in our memories. Have you been to Snoqualmie Falls and the Salish Lodge? No, but I would like seeing it and/or staying there sometime if possible. So happy that I could introduce this pretty place to you so that you can visit Snoqualmie Falls in person someday. 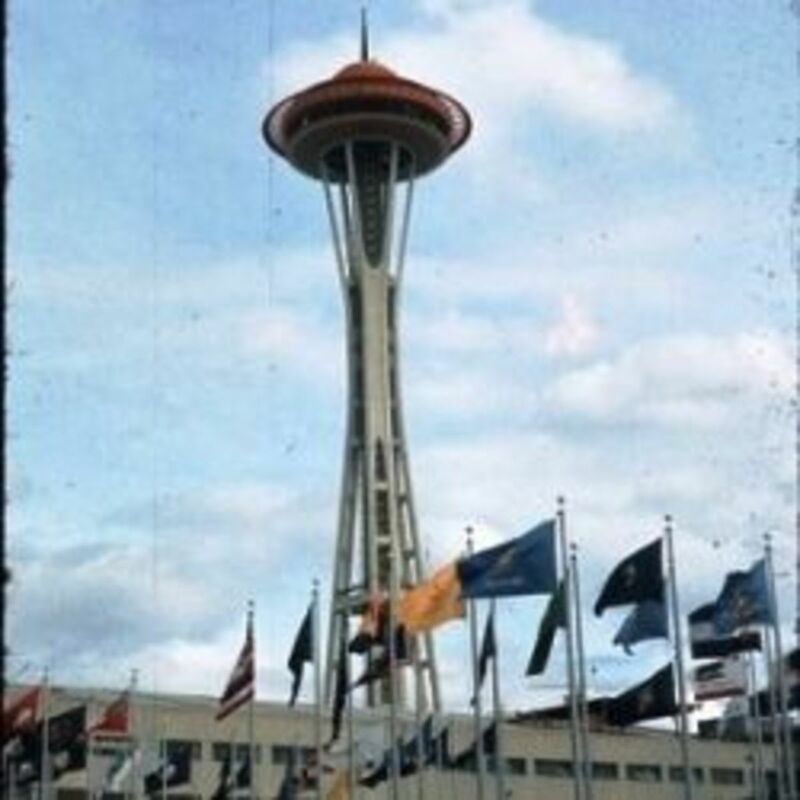 I lived in Seattle for a while and I never heard of this place before. Thank you for bringing it to my attention. I still like to get back there from time to time so I'll make a point of visiting the falls. This was one of our discoveries when going from Point A to Point B on our vacation that year but the Snoqualmie Falls and the Salish Lodge that sits at the top is quite a destination. We know some friends whose kids had a wedding reception there many years ago. The cooler weather is indeed nice!!! I have never been to Washington state. It's one of the dozen I've never visited. I know it's so pretty up there and I wish I could say I've been to all 50 states. Each state has it's own unique beauty. This is a great hub to help guide someone on what to see. Pinned to my 'Travel' board and shared with followers. This cooler weather is so nice I can hardly stand it! I just love it!! Wish it could be like this year around. Peggy this refreshing virtual trip came just in time after an exhausting one in real time to the N.C. coast today. The Falls and history were awesome- another natural wonder probably never would have known about but for you. Enjoyed the location pics and those of you, your mom and niece as always. Your niece is cute and looks as if she has quite a head on her shoulders! I'm glad that you enjoyed the introduction to this area of Washington State with the beautiful Snoqualmie Falls. It is certainly a beautiful area. Thanks for your comment. Peggy - I am starting to wonder where on Earth you haven't visited. You have the best travel and day-trip hubs and I always enjoy the photos. At least if I can't get there myself, you have often introduced a place to me I haven't heard of before and have taken me there through the lens of your camera and words. I haven't heard of these falls in Washington state but they look absolutely magnificent. Thanks for visiting this Snoqualmie Falls hub from Washington State. I agree that Pikes Place Market is amazing. Have you written a hub about Powells books? Sounds amazing! The PNW is truly one of the most stunning places I have ever been. I left back in August and I am so aching to get back to Pikes Place Market. If you ever get to the Portland area, you must check out Powells books. It's a readers idea of heaven on earth! Snoqualmie Falls is certainly all of that...beauty and power. 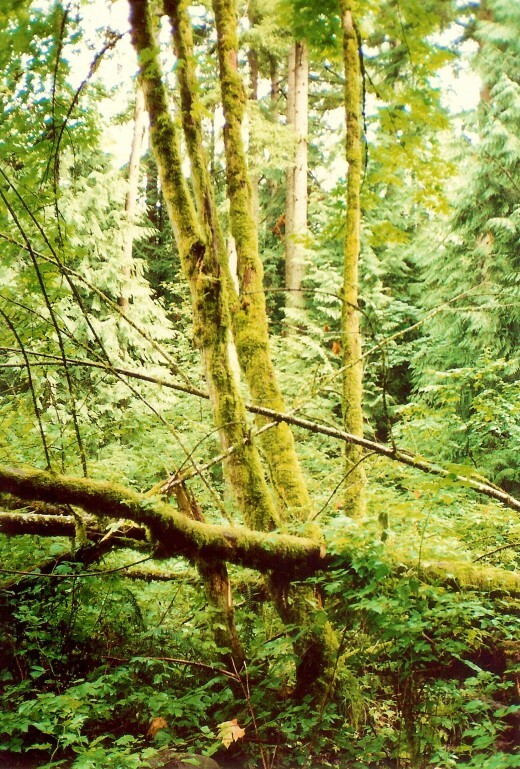 Thanks for letting me know that you enjoyed this look at a part of Washington State as well as other places that have been featured in my hubs. 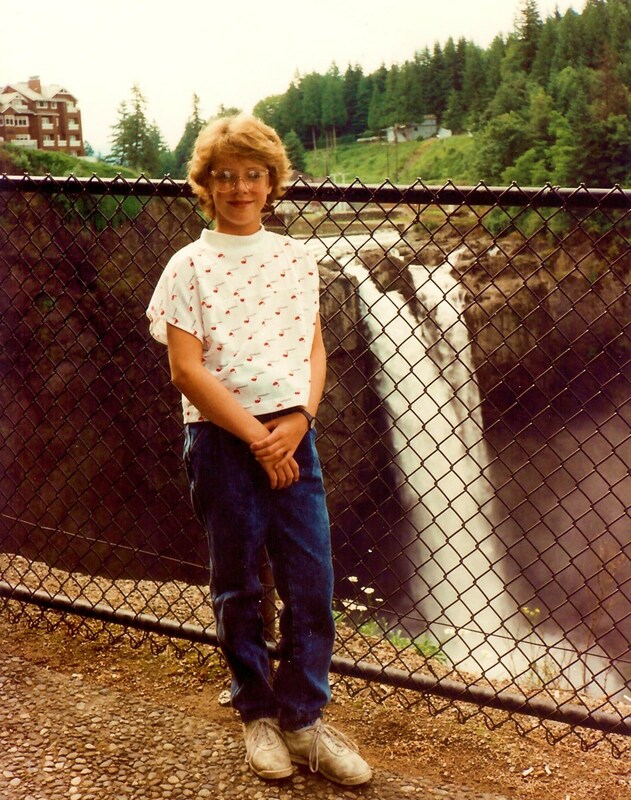 So happy to hear that you enjoyed this look at Snoqualmie Falls in the State of Washington. Waterfalls are pretty no matter where there originate. Thanks for the comment and vote up! Another great information from you. I love water falls. And Snoqualmie Falls is totally beautiful. You did it again, my friend. Thanks for share this valuable information. Vote this Up. Yes, the entire trip was indeed beautiful and visiting Snoqualmie Falls just added to it. Glad you liked the photos. Its beautiful - a trip you'll always remember. Thanks for including the lovely photo's too. Glad that you enjoyed this hub about Snoqualmie Falls in Washington State. 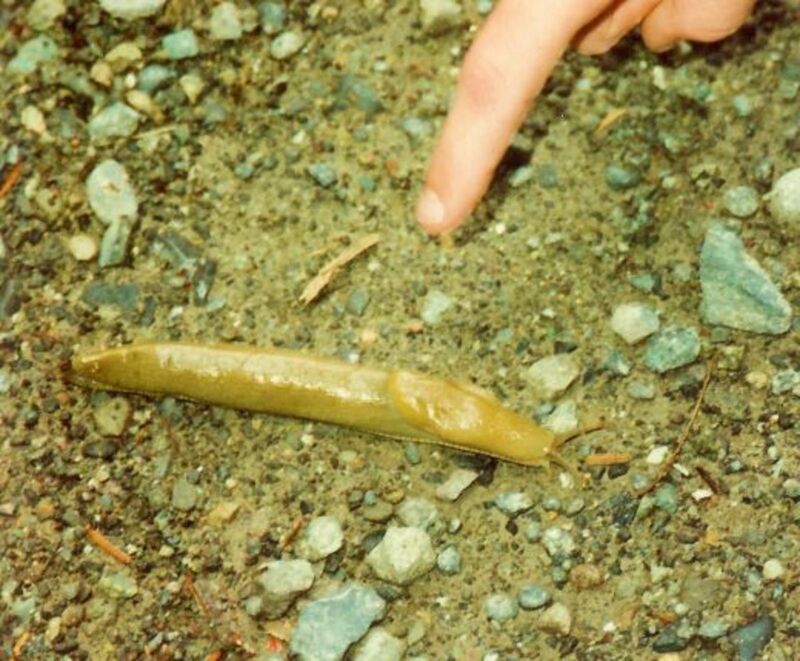 Connecting with Mother Nature is always inspirational. Hope you get that time off soon to do it. Thanks for the comment. Happy that you found this hub on Snoqualmie Falls in the State of Washington so enjoyable. Thanks for the comment. Thanks for rating this up and nice that you appreciated this hub on Snoqualmie Falls in the State of Washington. Wow, thank you so much. The videos were great.I have rated up. Glad you liked seeing these images of Snoqualmie Falls and thanks for the comment. 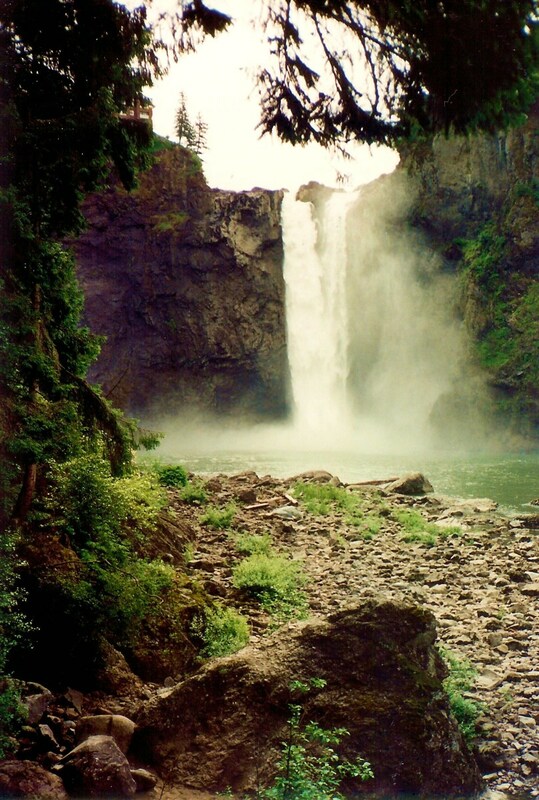 Thanks Peggy W, for sharing these wonderful images of Snoqualmie Falls! Great hub! Yes, Snoqualmie Falls is not only beautiful but provides power for electricity for many people in the Seattle area. Glad you liked this. Thanks for the comment. Another wonderful place place. This place combines beautiful scenery and educative objects ! Snoqualmie Falls is surely that...beautiful. Thanks for the comment. You are bringing to us another beautiful place. Thank you very much. Oh...don't put that kind of pressure on me! Ha! Just happen to have these photos in an album and thought that I would share them. Snoqualmie Falls is indeed a beautiful area. Thanks! Your travel hubs are getting better and better--I'm beginning to wonder how you will continue to top your previous efforts. The waterfall is beautiful, and this looks like a wonderful place to visit. Through it all, your photography shines bright. Very nice look at a wonderfully beautiful place. Since you like waterfalls, you'd love seeing Snoqualmie Falls. At least you now have an idea of its appearance. Thanks for the visit and comment. We can always hope for reruns! Thanks again for the link. You know this is great Peggy! You show me so many places like this one that I haven't hear of of forgot! Thanks again! This looks like a fantastic place to visit. I love water falls and these are really beautiful. Nice hub. Well, you missed it on TV. It ran back in the early nineties. It's our favorite TV show of all time. David Lynch on TV!! Can you believe it? Yes, the Salish Lodge definitely gives an idea of scale to the Snoqualmie Falls. Quite the pretty site...or "awesome" as the youngsters say. Ha! I went to the link you provided first before responding. Good view of Snoqualmie Falls in the winter with some snow on the banks. Looks like I have missed a good TV show judging from some of the actor's names. If it is still playing...will take a look. Thanks! 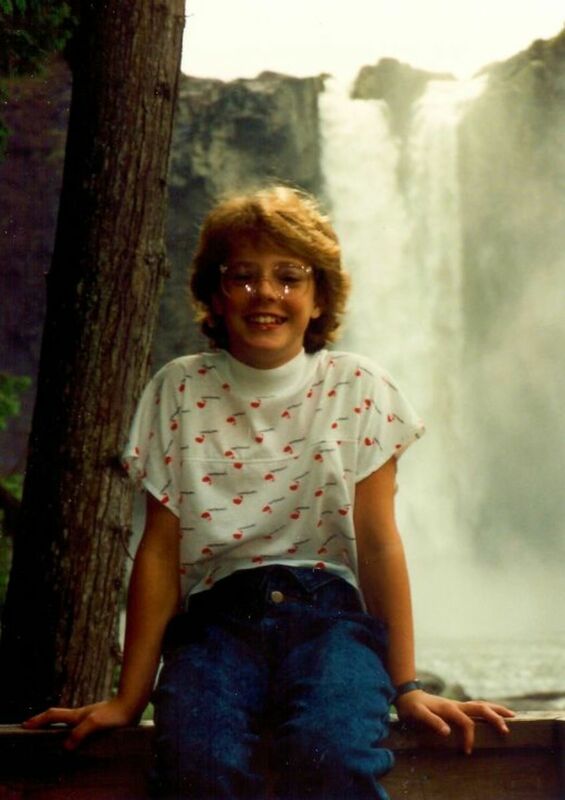 I got to see Niagra Falls with my family when I was 12 years old. That was certainly a memorable site from both the Canadian and American side of the border. Snoqualmie Falls is tiny in comparison with regard to width and the sheer amount of moving water, but it is impressive in its own right, and yes...taller than Niagra Falls. I never watched "Twin Peaks" but guess I should take a look since they used the Salish Lodge as the setting. 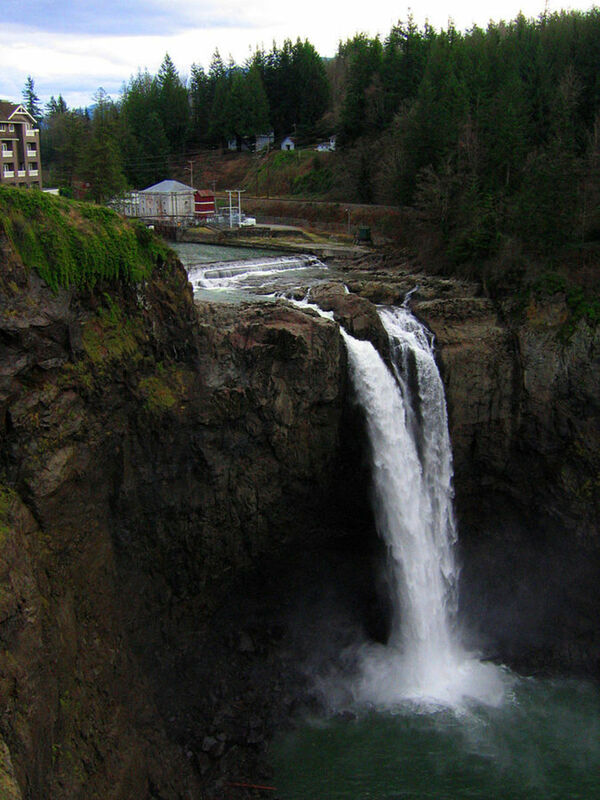 Did they show Snoqualmie Falls in that TV show also or did they just use images of the lodge? Amazing what one learns by writing hubs and finding out things from fellow hubbers. It is fun! Thanks! Hi Peggy W very interesting to know about Snoqualmie Falls.Even I came to know about that it is taller than Niagara. Thank u for sharing. 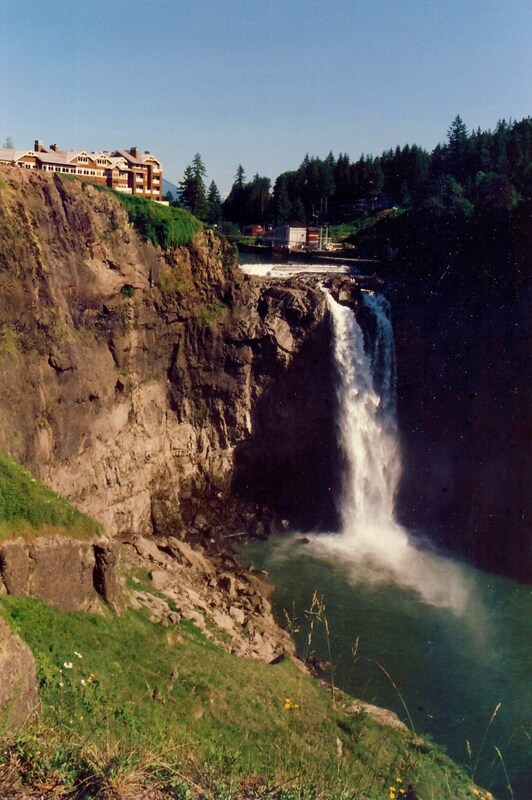 I agree that the photo I purchased of Snoqualmie Falls also showing the Salish Lodge is a beauty. The Tarzan movies were made using a number of locations one of which was Silver Springs in Florida (where Sea Hunt episodes were also filmed). Have written a hub about it...another very scenic area in a different way. 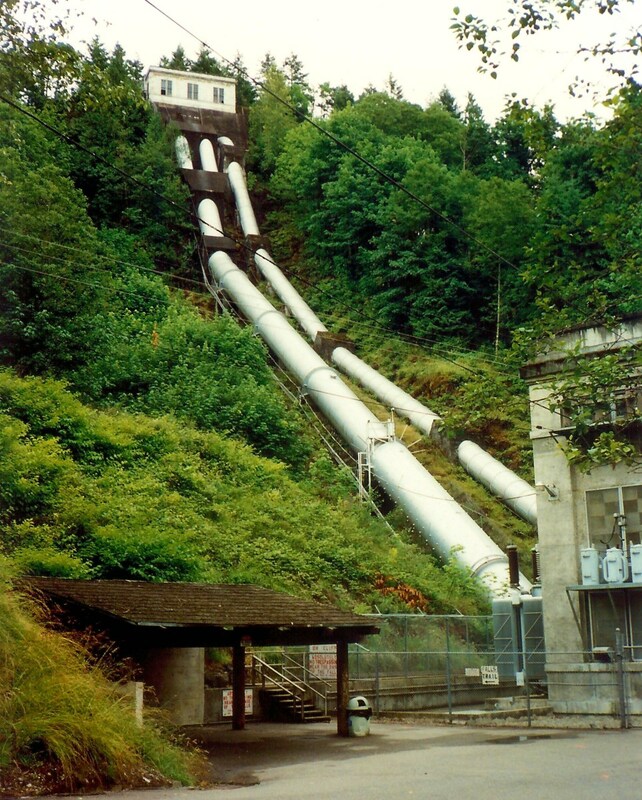 As to the tightrope walkers and Niagra Falls, I also remember hearing about people going over that particular falls in barrels. Remember? I think that a few lost their lives and then they banned those type of things. So happy that I could share these views of Snoqualmie Falls with you. Thanks for leaving a comment. "Twin Peaks"!! My wife and I have been fans of that tv show since it first aired in the early 90's. We've been wanting to visit there and just haven't made it. The Salish Lodge was "The Great Northern" in the tv show. One day, we'll get there. Nice article! Snoqualmie Falls is a beautiful site and the Salish Lodge is beautiful as well. Ahh...for a spa treatment! Sounds good! If you follow in our footsteps, at least you have a preview. I planned most of our U.S. trips using a Readers Digest book titled America From the Road. 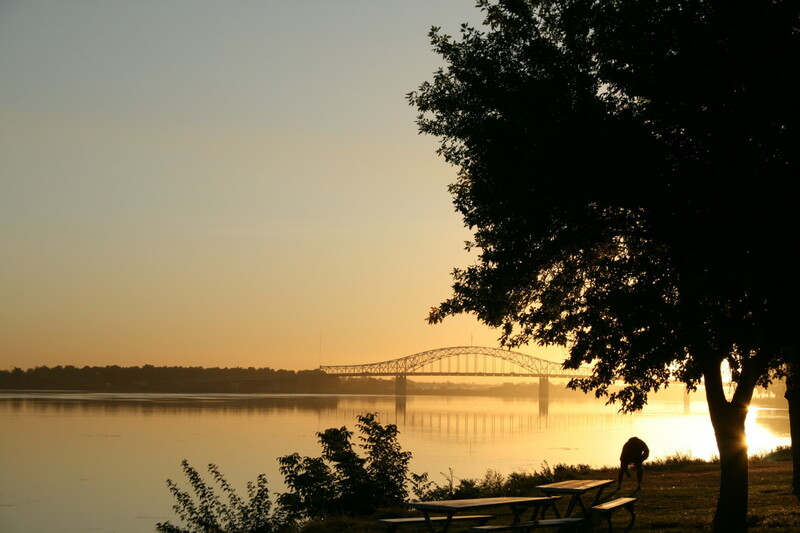 Gives one an idea of the scenic spots to see in each State. We were never disappointed! There is something quite impressive about waterfalls. The "purchased" photo of the falls shows a really impressive view. It is long time since seeing a Tarzan film but I remember waterfalls in the ones in the 1950's and they probably were not even in color. I recall reading about tightrope walkers performing over Niagara Falls years ago. As far as being risky, tightrope walking is pretty risky anyhow. You've written another good travel piece here. Snolqualmie Falls is such a beautiful place and your photographs are really wonderfully adding glamor to this hub,admirable,every thing(and enviable too).Thanks a lot for sharing. Snolqualmie Falls look beautiful - I am putting together quite an impressive intinerary for the future from your hubs Peggy. that spa looks a must do. Thank you William F. Torpey! Snolqualmie Falls and Bing Crosby's "Snoqualmie Joe" allusion to it has to be a winner. Thanks for adding the link. The Snoqualmie Indians thought of it as literally their birthplace from what I have read and sacred to them. Oh...thank you for that..yes..it is a sacred place!! Snoqualmie Falls and the Salish Lodge are a great destination...whether in person or in your dreams. The Snoqualmie Indians thought of this as a sacred place. Interesting your dreaming of being an American Indian in another lifetime. 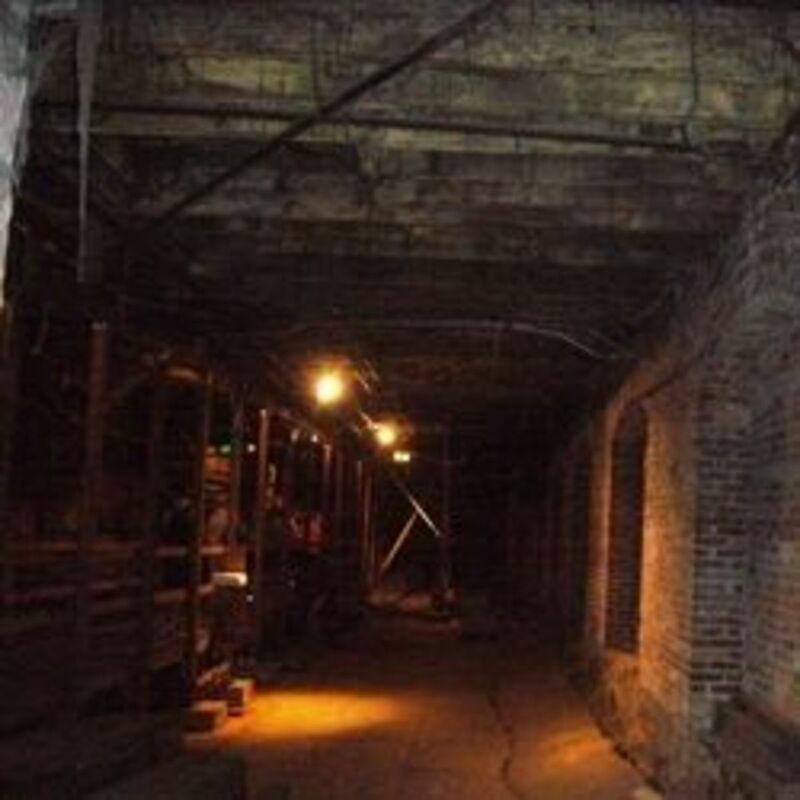 It was one of the places I was supposed to visit in one of the several times I had been to Seattle..I never did..but...I dreamt about being there in the lodge..not knowing it was this!! Thank you. Now I have to figure out why,,,it has got to do with my dreams of being an American Indian in other lifetimes.